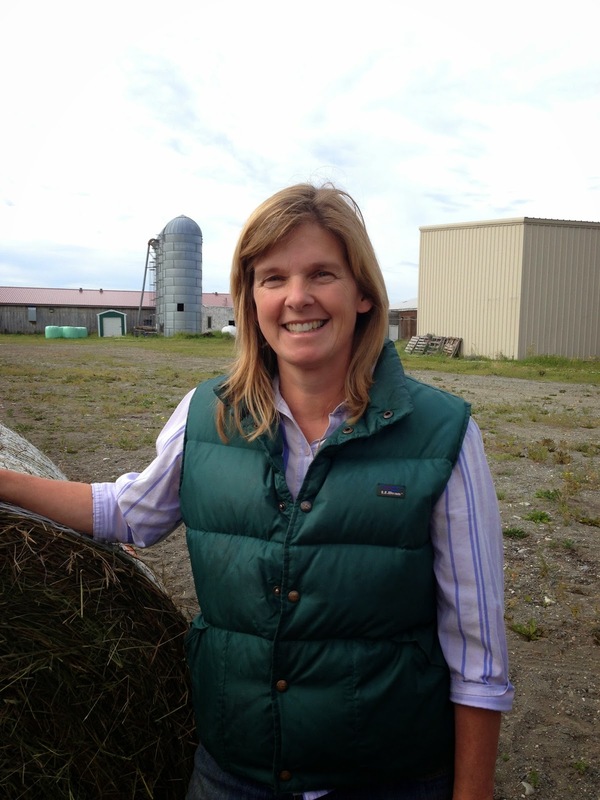 "Agriculture is a subject I am really passionate about," says Angie Freeman Shephard, new superintendent at the Matanuska Experiment Farm. Freeman Shephard grew up on an eastern Oregon farm and is a fifth generation landowner in the Palouse region near Moscow, Idaho. She worked the fields and drove a combine, helping her family raise wheat and peas. Freeman Shephard earned a bachelor of science degree in rangeland ecology and management from Oregon State University and ranched in eastern Oregon for the next 12 years, raising beef catle and managing timberland. Wanting to learn more about riparian grazing and not finding adequate research, she went to the University of Idaho and earned a master of science degree in natural resources management with a range emphasis. Conducting research through the Oregon Agricultural Experiment Station, Freeman Shephard first crossed paths with Norman Harris, administrator of the Matanuska Experiment Farm. After completing her graduate studies, she served the next three and a half years as project manager of the Zumwalt Prairie Preserve for the Nature Conservancy. Her work included prescribed burns, weed treatment and grazing studies. "It was great to work with a conservation organization that worked with agricultural producers," she said. Because her husband, Phil Shephard, was from Alaska and wanted the return home, the couple and their three children headed north six years ago. In Anchorage, Freeman Shephard was a grants officer for Providence Hospital, obtaining funds to support the hospital's charity work. When she saw the notice for the farm superintendent position, she quickly took action. "It looked like a good fit for me," she said. "I'm excited to learn more about the rich history of agriculture in Alaska, specifically the Matanuska Valley. I want to help be part of the team that finds resources, be a good host to research and outreach activities and provide public service. "There are a lot of creative people studying interesting things here. My goal is to see what I can bring to help people to address the challenges and opportunities of sustainable agriculture in Alaska." Freeman Shephard enjoys hiking, camping and playing the guitar in her free time, but mostly she loves participating in family activities. She can be reached at 907-746-9481.